Year after year you stress out about scheduling your annual family photography session, and worry about convincing your spouse, finding the right outfits and bribing your kids. You’re not even sure why you bother sometimes, when nobody seems to give a flying squirrel about any of it except for you. And I’ve heard you on the phone while we are scheduling, saying you hate photographs of yourself, and can we just do the kids this year, because really, you just want a beautiful shot of the kids to hang on your wall and send off at Christmas. But I know something that you don’t. It’s not really for you. You are flipping through photographs to include on your first grader’s “All About Me” poster, and you find about half a million that you had completely forgotten were even taken. Again, you are torn between wonder at how fast it all goes and why you even bother collecting these in the first place. 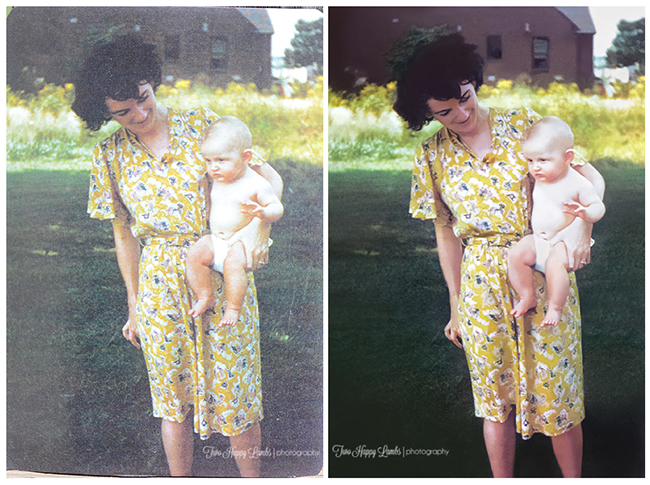 I spent all morning restoring this late 1940s photograph I am about to show you. 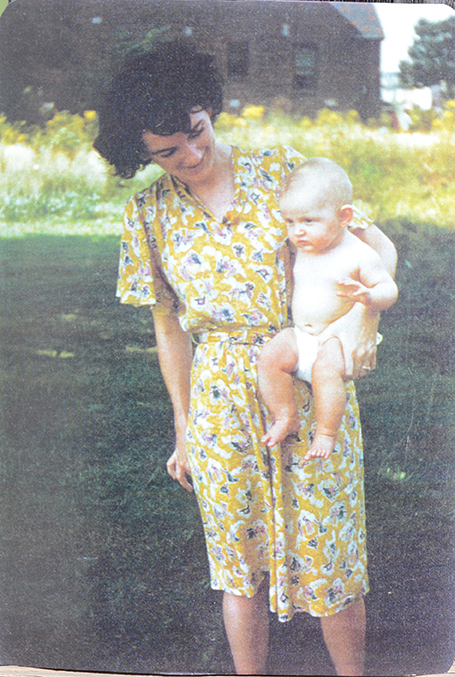 This adorable mama is now 90, living in New York. She gave birth to nine children in twelve years. A photographer was passing through and took this while she was in her early twenties, standing outside enjoying a small break from her day. One baby on her hip, another in her teeny tummy, in the late summer heat. The original was lost when her daughter had her wallet stolen. The photograph became precious, even in it’s now thin, color copied state. Her granddaughter now had it restored and it will be printed in a professional lab and brand new copies will be sent out to the whole family. There are frames on the way and a cherished spot picked out for it on the wall. Do you think she knew? Tired, sweaty, laundry hung out to dry, do you think she knew that this image of her would become enough to draw tears of grief and joy from her babies? I bet she didn’t. 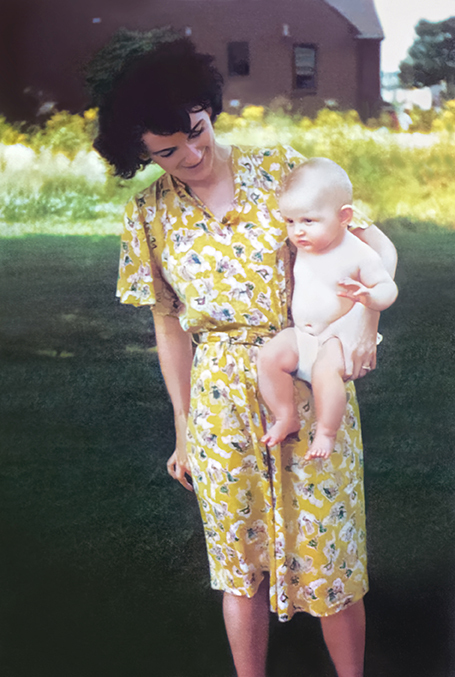 I bet she loved this photograph of her daughter and she bought it because it was probably one of the few she ever had. I bet she looked at it and saw the soft round of that brand new cheek, the downy softness of her hair. She probably thought of that tiny life just sprouting and all the hopes and dreams enveloped in there. She didn’t know that this was always for them. So they could see her face looking at them with love. So that they could remember her voice, her smell and her hugs. She didn’t know. And you probably don’t either. Have an old photograph that needs new life? Ready to schedule your session this year?